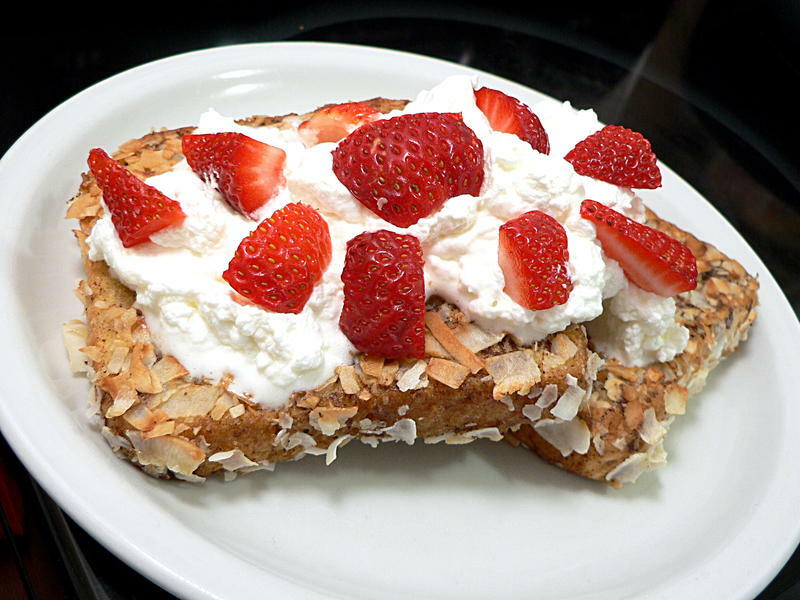 Jenn went to a local diner recently and saw something on the menu that took her back: Coconut French toast. 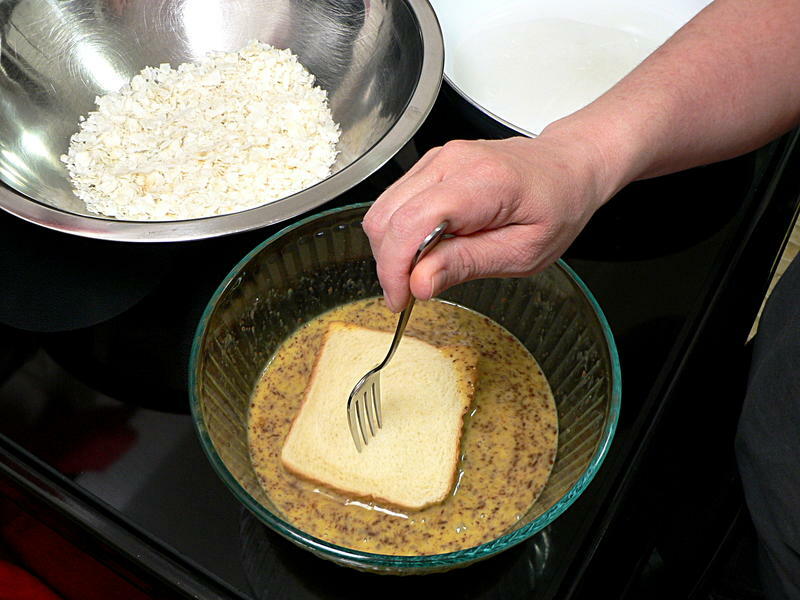 She worked at a pancake house in college that had them on the menu. 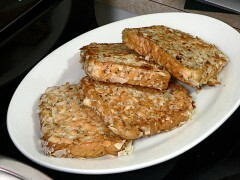 But she never tried them, because there were about 500 other things on the menu. 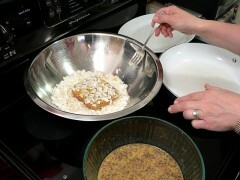 So now, a mere [mumble] years after college, she finally tried it. 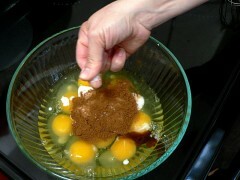 She must have liked it, because she ran out and got the ingredients to make it herself. 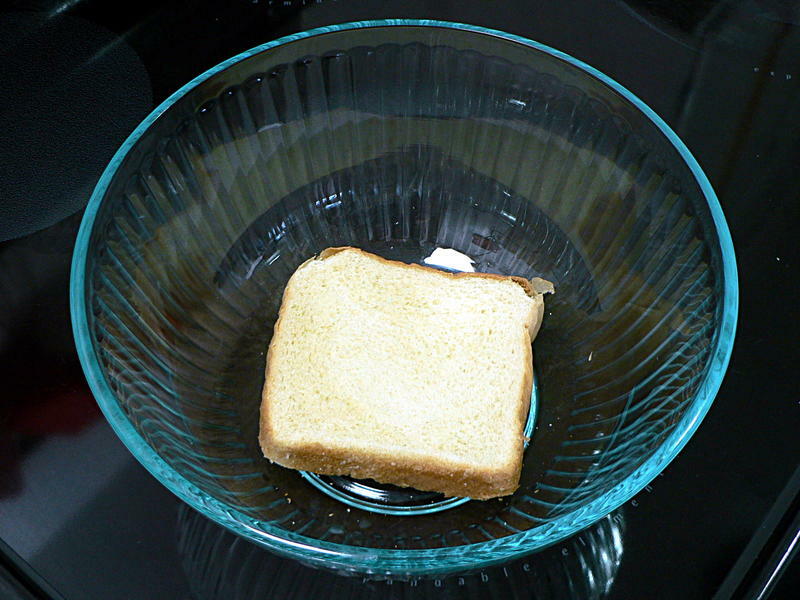 For French toast you want a bowl where the bottom is just big enough to hold a single piece of bread. 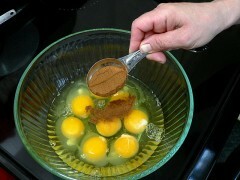 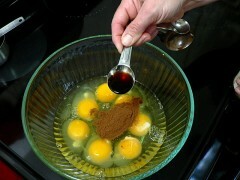 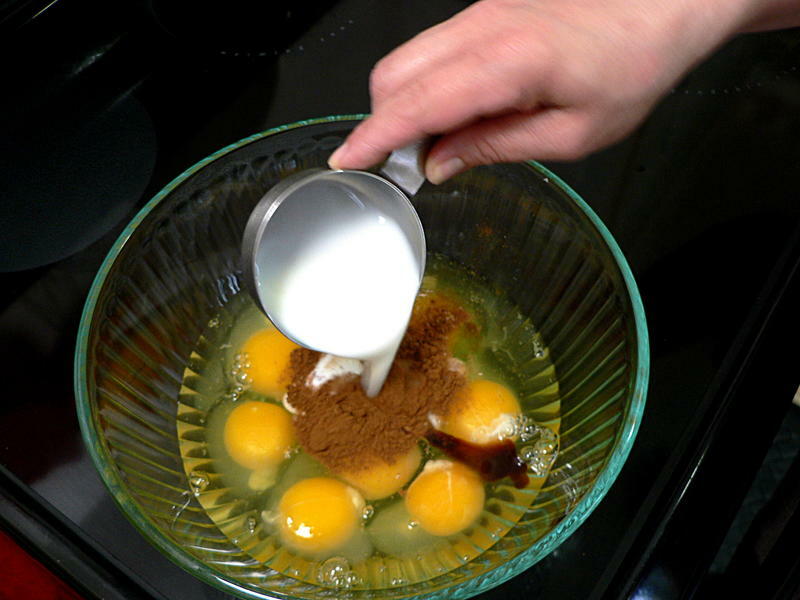 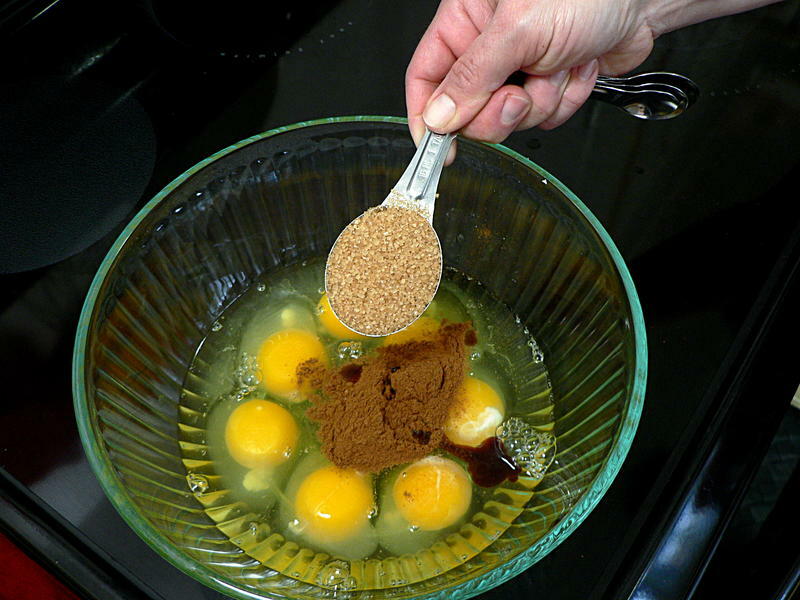 Into this bowl, combine the eggs, cinnamon, vanilla, sugar, buttermilk and salt and beat thoroughly. 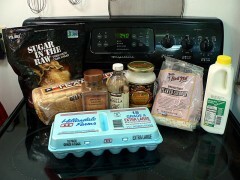 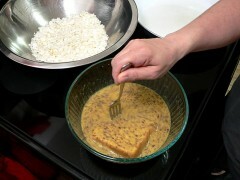 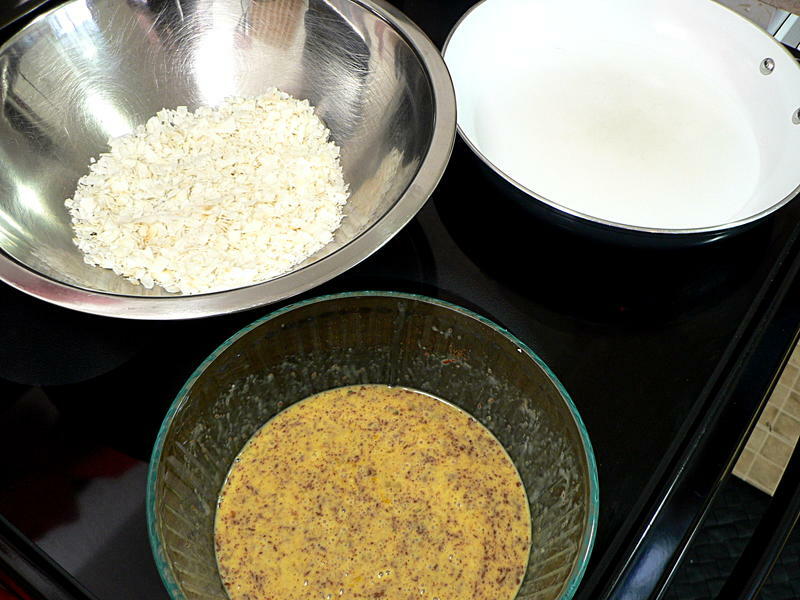 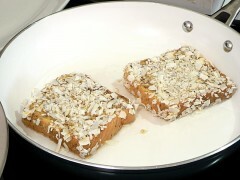 Put the coconut flakes in a large bowl, and arrange the egg mixture and coconut on your stovetop next to a frying pan. 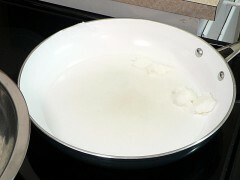 Put a couple of tablespoons of the coconut oil (or butter) in the pan over medium-low heat. 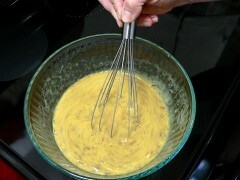 Once the fat is melted, dip a piece of bread in the egg mix then flip it over to coat the other side. Shake off the excess egg mix so it’s not dripping, then toss in the coconut flakes to coat both sides. 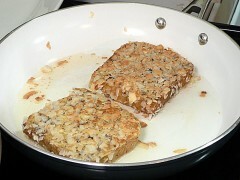 Put in the pan and fry on both sides until the coconut is lightly browned. Probably no more than a minute per side, depending on how hot you have it. 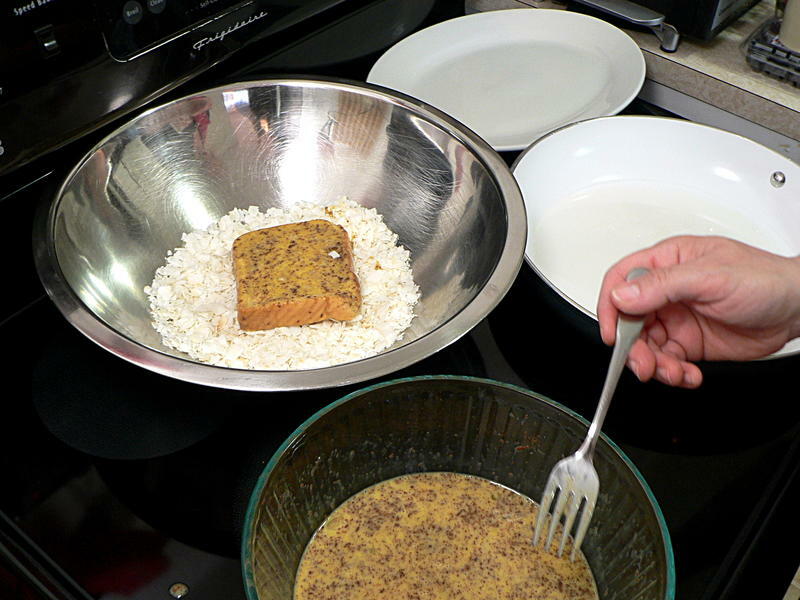 Unless you’ve got a huge grill you’re going to need to work fast in small batches. 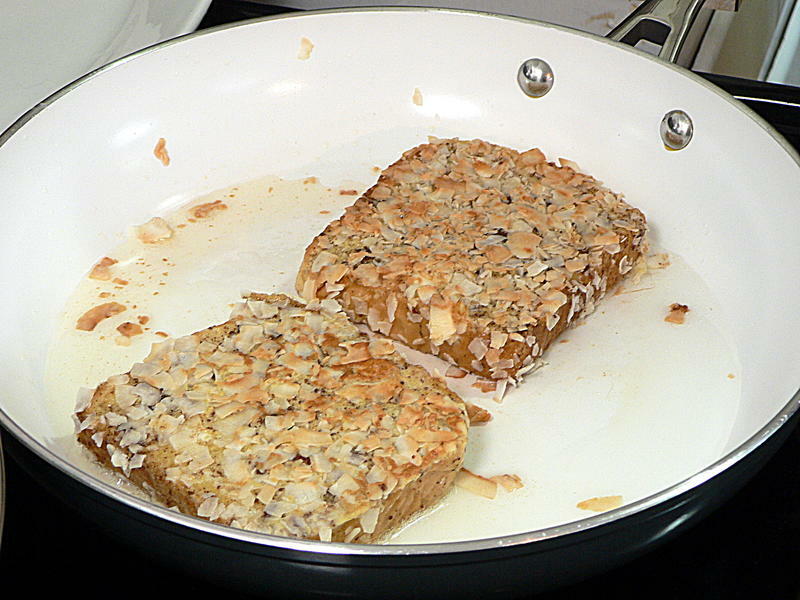 Don’t think you can speed it up by cranking up the heat or you’ll burn the coconut. Stack the bread as it comes out of the pan so it all stays warm until you’re ready to serve. Top with syrup and/or whipped cream and berries. Combine the eggs, cinnamon, vanilla, sugar, buttermilk and salt and beat thoroughly. 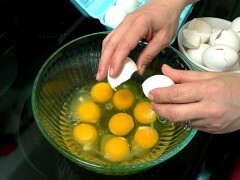 Once the fat is melted, dip a piece of bread in the egg mix, then flip it over to coat the other side.